This is a very common question that we hear from consumers when they call our customer service center to learn more about TV antennas. 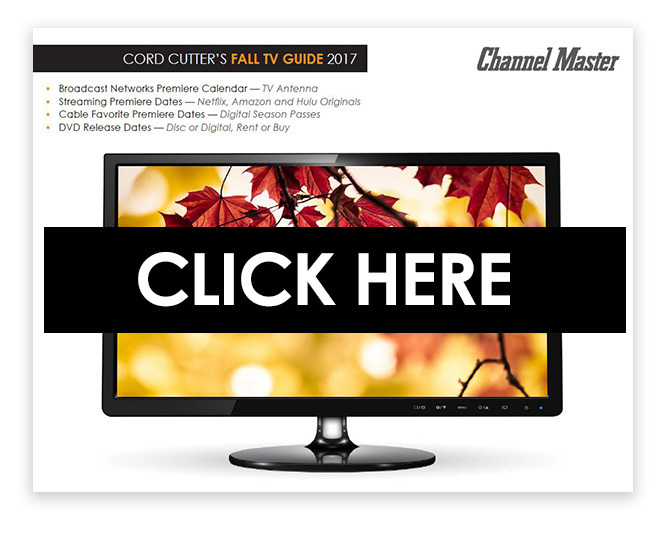 In the age of cord cutting, a TV antenna is the most valuable tool you can own and you're about to learn why. There are few things in the TV world today that are more misunderstood and misrepresented than the antenna. Some people think you only get public access channels. Some people think you only get foreign language channels. Some people think that you have to pay money to get HD channels. Worst of all, a frightening number of people seem to think that the content you get from the broadcast networks using a TV antenna is somehow different from the content you get from those same broadcast networks through a Cable or Satellite service. We are about to debunk the myths. The mistake that most people make is to ask "what channels do I get" or "how many channels do I get." Those are the wrong questions. Don't you already get a bazillion channels from your Cable or Satellite service that you don't watch? The right question to ask is "what content do I get". Now you're cooking with gas. 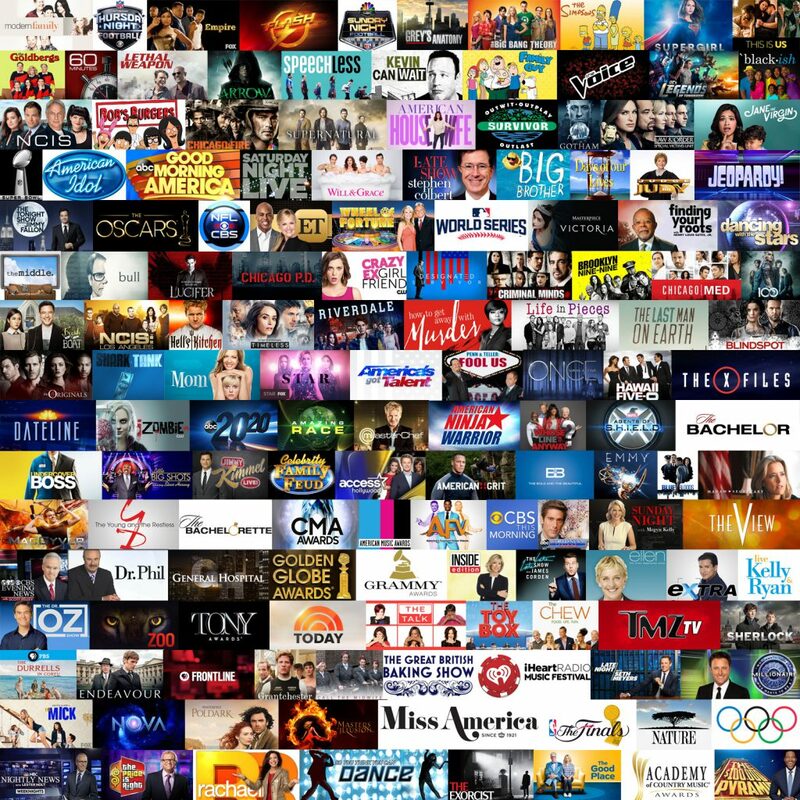 This is 150 TV shows. 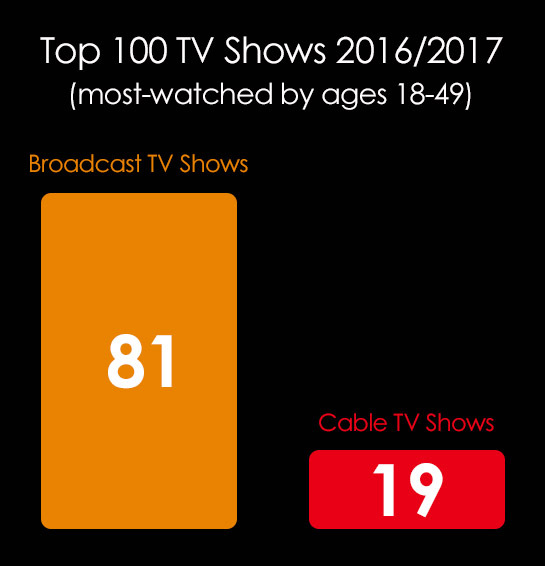 And not just any TV shows, these are 81 of the top 100 TV shows, including all sporting events, awards shows, etc., of the 2016/2017 TV season, live and free in HD. To be clear, the schedule from the TV antenna is exactly the same as the TV schedule for these channels in your Cable or Satellite service. Your local news will come on at the same time; Jeopardy will come on at the same time; Judge Judy, Survivor and Jimmy Fallon will come on at the same time. Your viewing schedule will not change. You won't miss the Olympics, the Super Bowl or the Oscars. There are other networks that broadcast free over-the-air, too. Depending on where you live you will get movie channels, classic TV channels, comedy channels and more. There's also Telemundo, Univision, Unimas and Azteca for Spanish language entertainment. When it comes to cord cutting, the TV antenna is going to be your workhorse. It will provide the majority of your TV programming, without having to stream live TV and eat up your data allowance. For those favorite Cable shows, purchase a season pass from Amazon or VUDU to watch current episodes at about $25 per show. If you watch 10 shows from Cable networks (AMC, USA, HBO, FX, Bravo, E!, etc.) that's going to be about $250 per year. Compare that to an average $1200 per year for Cable or Satellite TV with a bazillion channels that you don't watch. Another common misconception is that cord cutters have to use a bunch of different streaming services. Not true. The majority of our customers use a TV antenna and two streaming services (Netflix, Amazon and/or VUDU) and get everything they need and more. The key to success is the TV antenna. You can learn more about TV antennas, what networks are available in your area, and how to choose the antenna that's right for you by using our Antenna Selection Guide. Important: Don't get sucked in by marketing hype and pay more than you need to for a TV antenna. Be sure to read our post "There's No Such Thing as an HD Antenna." The broadcast signals are HD/Digital, not the antennas themselves. An antenna from the 1970s is going to receive the same digital broadcast signals as any antenna you can buy today. And did you know? You can have a DVR and a channel guide for your TV antenna. Check out our DVR+.